ZERO SIGNAL: promo (press release) s.t /1st / debut CD Italian Death / Thrash Metal: 21 minutes of rage and violence! 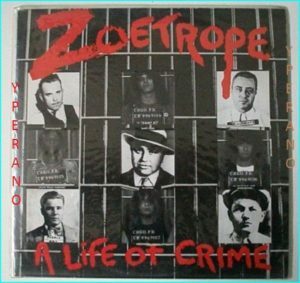 PANTERA..
ZOETROPE: A Life of Crime LP. Music For Nations Records 1987. Thrash Metal. Check audio samples. ZORN: Zorn CD (s.t, 1st, debut). Thrash / Death Metal. Check video! !